Sshh . . . NOT for parents! You can keep a SECRET, right? Clara and I have a herd of tiny, talking, zippy-zoomy, flying horses - and they're REAL! It's true. Those naughty Miniwings get us into so much TROUBLE. Who would have thought a cross-country RACE could be such a DISASTER! Sophia is determined that she and Clara will have a glorious victory in the school cross country. 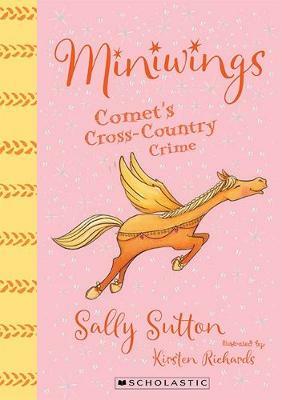 When the big day arrives and the race favourite's magic shoes go missing, it comes as a big surprise to Sophia when they turn up in her bag! Accusing fingers are pointed. Thief! This time, the Miniwings have reached a whole new level of naughty. How will Sophia get out of this?